Regarding our homes, safety is typically the most desired quality. Whether standing on the edge of a porch or admiring the scenery on a deck, many of us often overlook the importance of railings. Balance. When a person loses balance on a platform, they usually cling to the railing. Railings provide stability–which is especially important for children and the elderly. Prevention. To help protect curious children, wild pets or unaware adults, railings provide a needed barrier between a surface and a high drop. Comfort. During inclement weather, high platforms can be dangerous. 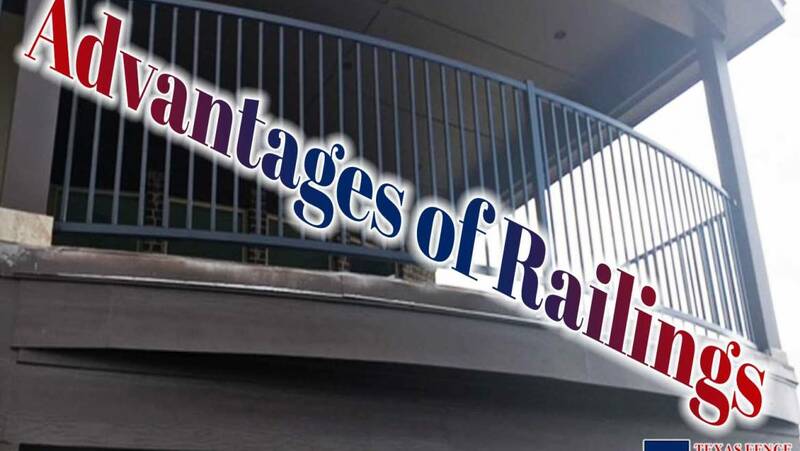 Railings provide enhanced support and allow others to feel more comfortable walking on the platform. Low Maintenance & Affordable. Depending on the material, most railings can typically withstand harsh weather conditions and often require low maintenance. 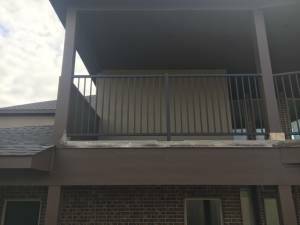 In reference to affordability, balcony railings are considered to be an affordable option in comparison to costly liabilities that occur without them. Beauty. In addition to safety, railings can be an attractive additive to a home. Because of the various materials available, railings can be customized to fit your specific needs and style. 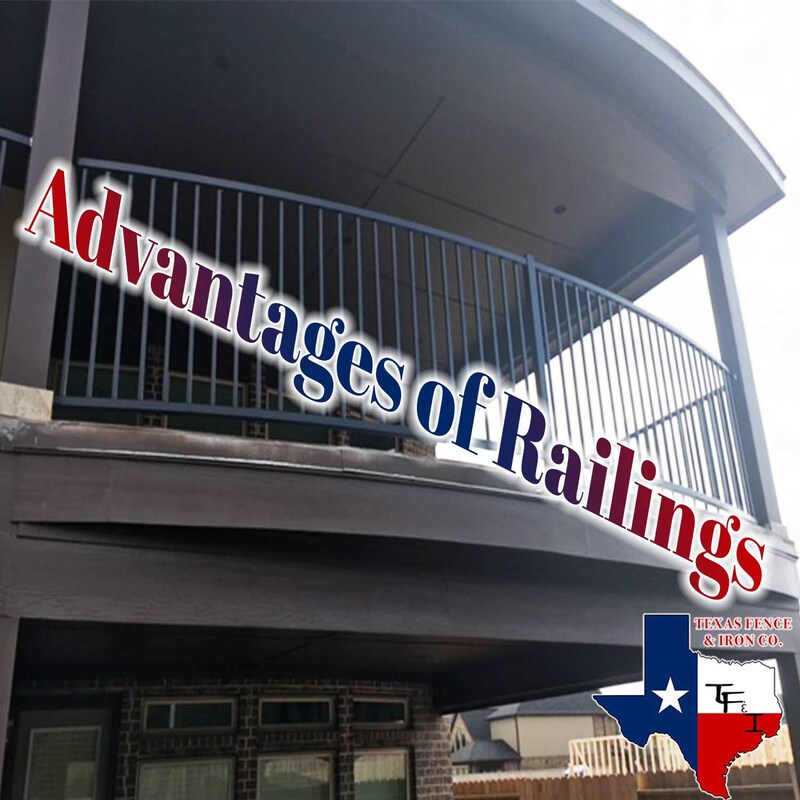 Texas Fence & Iron Co. offers a variety of diverse materials to design and install reliable balcony railings that will satisfy desired security needs, appearance of a residence, and local specifications and regulations. 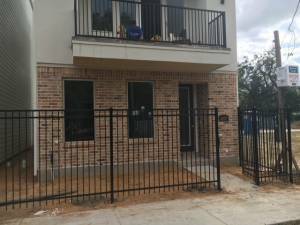 At Texas Fence & Iron, our skilled professionals have the necessary experience constructing appropriate balcony railings for homes and apartment complexes. If you’re considering installing or upgrading your current balcony railing, call Texas Fence & Iron today!